If you’ve got a dog, chances are you’ve posted a picture (or 1000+) of them on Instagram. Maybe more than once. Maybe more than once a day (who are we to judge?). Chances are you’ve also scrolled through the feed of an Insta-famous floofer and wondered how you can create such a shrine to your furry BFF and shoot them into Instagram stardom. 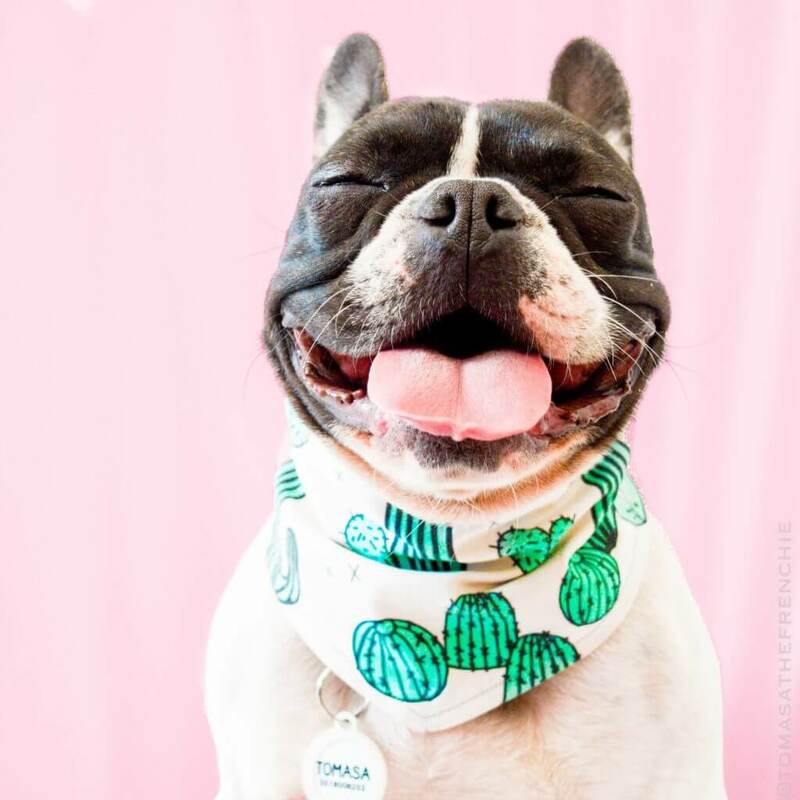 Fear not friends – read on for our guide on how to make your dog Instagram famous, thanks to the lovely human behind @tomasathefrenchie, Jess. Tomasa The Frenchie now has 13.2k followers and growing quickly. How do you really go from taking cute snaps of your dog rolling around in mud, to turning them into an influencer? Be adaptable, but stick with your brand. 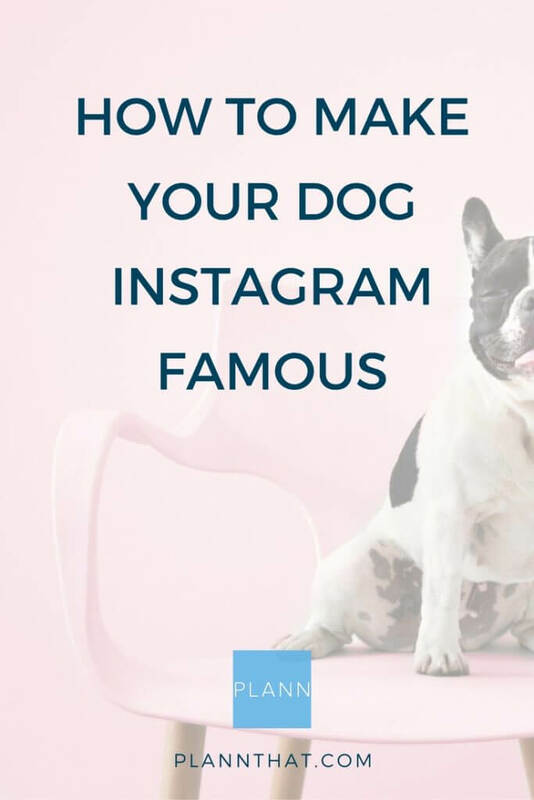 Sick of dreaming about how to make your dog Instagram famous and ready to make it a reality? You might have one idea of how you want your dog’s Instagram account to look and feel, but as time passes, you might realise that style doesn’t really suit them at all! Be OK with changing it up in the early days, but once you find the style that suits you, run with it and own it. “One day I was having lunch with my sister and she said something like “have you noticed that all you do is post about Tom all day, why don’t you create her own Instagram account?”. I had never thought about doing that and thus begin @tomasathefrenchie . NEW ACCOUNT = NEW BIO. READ OUR GUIDE TO WRITING YOUR INSTAGRAM BIO IT 2017 NOW. Be prepared and patient – what it really takes to photograph animals. Instagram fame is all about getting *the shot*, the one that will stop scrollers in their tracks and guarantee double taps. But you know what they say about working with animals and children? Turns out it’s kind of true. A sneaky tip from Jess for making the most of photoshoots? How to make sure it doesn’t get old, and fast. “Captions for me are the hardest, I would rather do the colors and organizing part only. I do think that if you want to grow your dog account your dog needs to have a very unique voice and story to share with others. Jess’s top tips for writing captions? Stuck for ideas? Here are 33 ideas for what to post on Instagram if you’re in a rut! What I would recommend if you want to do grow your account is to set certain hours of your day in which you know you’ll be on Instagram for at least 30 minutes. If I have a very busy day then I don’t post photos and only engage with accounts I follow. On normal days I know that I will be on Instagram from 9:45am to about 10:15am (I post at 10am most days, keep a consistent schedule!!! ), then I will come back to Instagram in an “I am bored at work moment”, and finally engage quite a lot from around 9pm to 10pm. Have a strategy in place to avoid wasting time. Think colours, food, places – maybe even look at the accounts you already love to follow on Instagram and think about what they have in common. That could be your place. As with any project, you can make this as a big or little a part of your life as you like. But if you’re keen to shoot your pupper to Instagram stardom and figure out how to make your dog Instagram famous, we’re going to wager there will be a shift in the way you spend your time. “My weekends plans now involve going to some cool part of Mexico City to take some photos of Tom, and we usually try not to leave Tom in the apartment in case there is a picture perfect moment. Plus, you will always find me walking with my camera in all her potty walks. Do you have an Instagram account for your dog? Comment below and tell us your tips for how to make your dog Instagram famous. Now that you’re all over how to make your dog Instagram famous, Plann could be the secret weapon you need. We can help you nail your doggo’s visual brand and keep their tone of voice consistent by drafting captions in advance. Download Plann now from the iOS and Android stores and get started. You can call me Tom, Tomasa or TomTom. And no, I am not a boy. I am a 3 year old frenchie girl living in Mexico City that loves to bark at big dogs, run after dad in his motorcycle, and smile. Say hi to Tomasa over here.